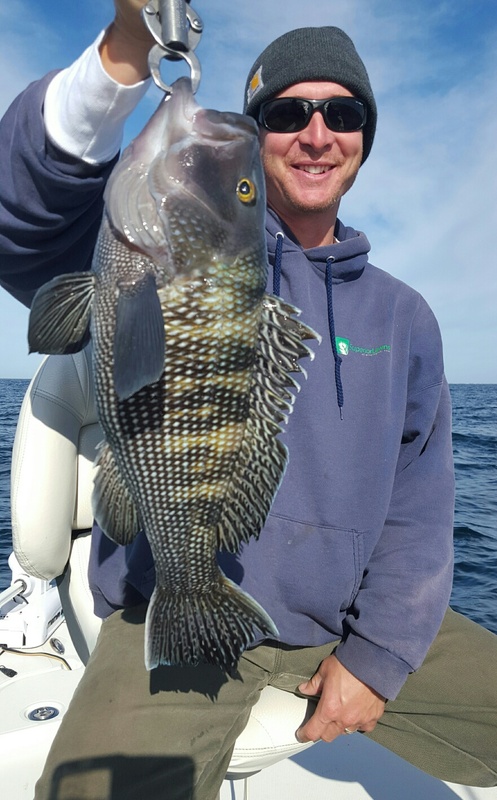 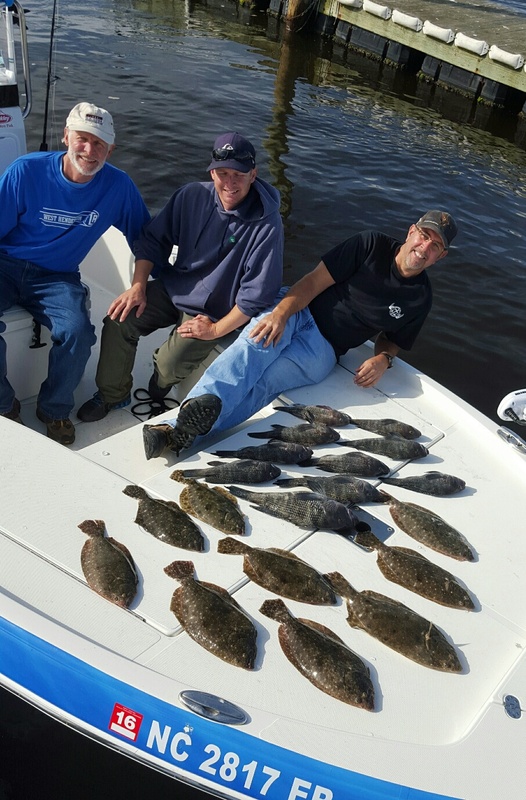 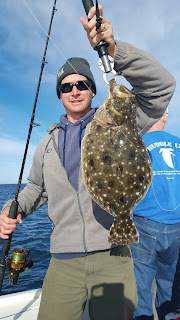 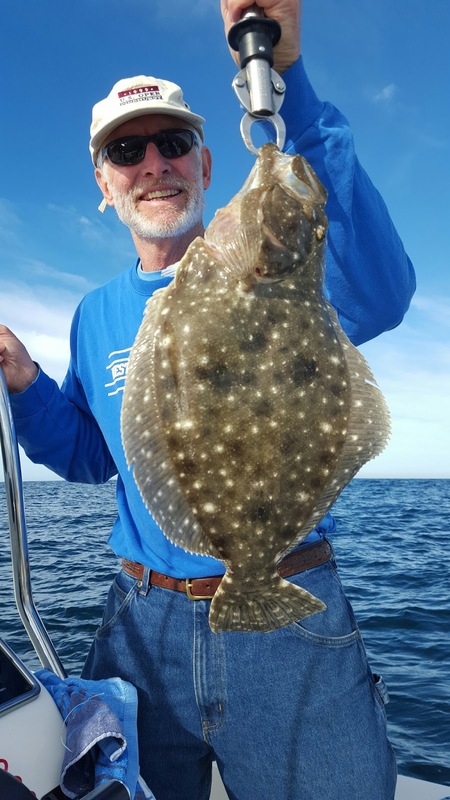 Kevin and his crew stepped onboard for a beautiful day of jigging for flounder and seabass a few miles off the beach during the Thanksgiving Holiday. We released about 15 flounder and kept 9 up to 2.5lbs along with plenty of large seabass! 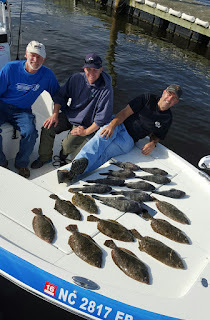 Great day of fishing! 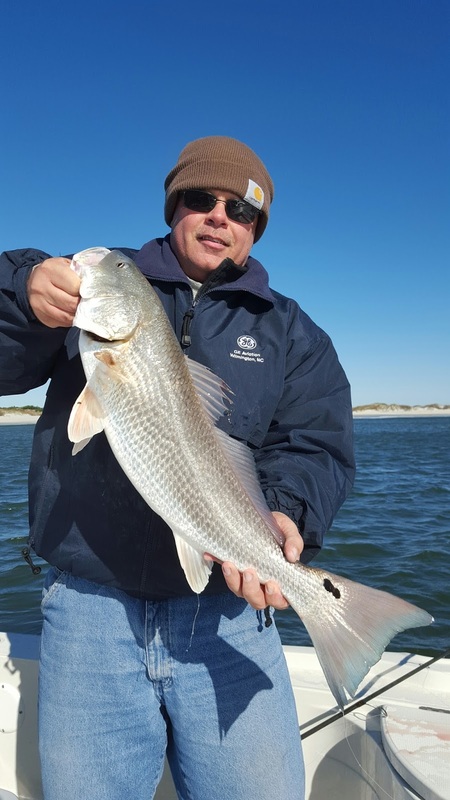 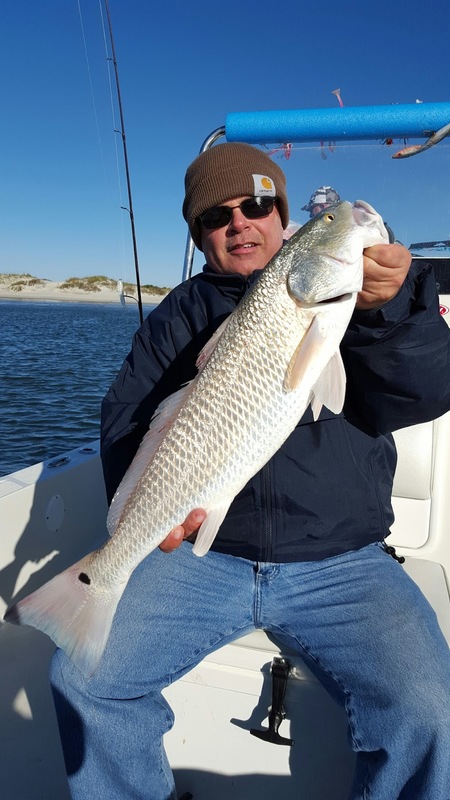 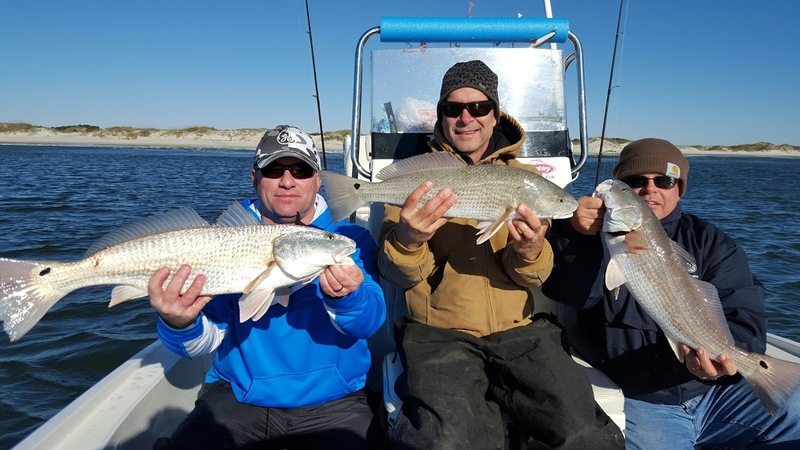 Johnny, Parks, and Bewster had a ball with NON-STOP hook-ups with 4 to 10lb Redfish while sightfishing with us this November. 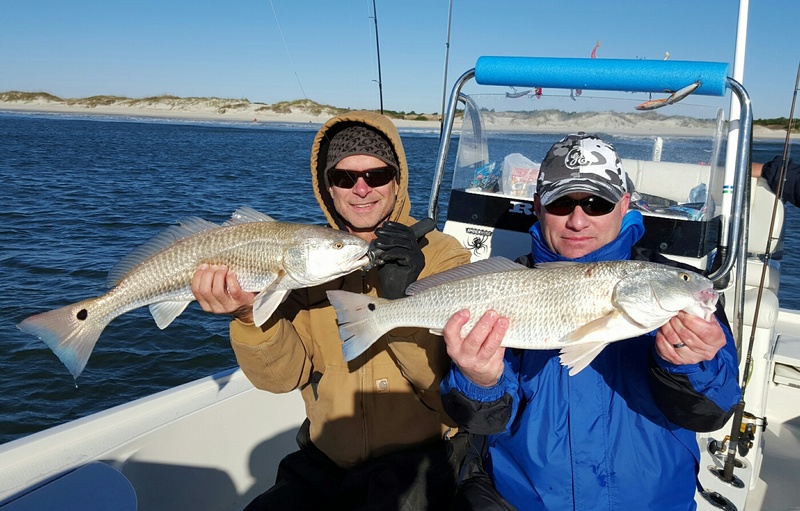 We had constant double and triple hook-ups for several hours! Gator Trout While Filming Fish'n 4 Fun TV! 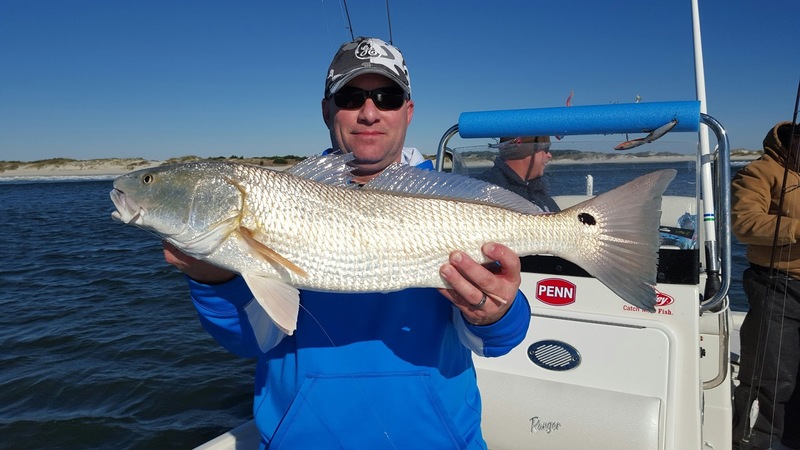 While shooting an episode of Fish'n 4 Fun TV with Host, Tami Curtis, we landed a BIG Speckled Trout over 5lbs! 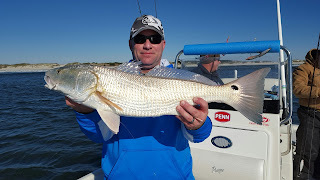 We also managed about 40 more trout, a few black drum, a couple redfish, and a large bluefish during 4hrs of filming. 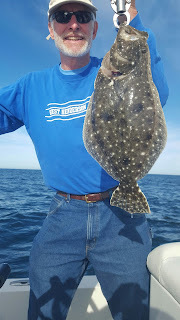 This episode will air on a few networks, including Heartland Channel, in March of 2016. 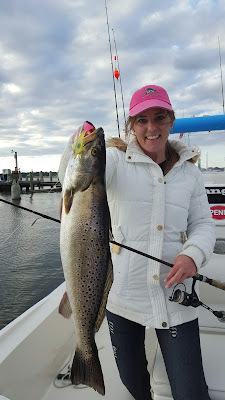 Fish'n 4 Fun TV Host, Tami Curtis with a Gator Trout caught while we were filming! Capt. 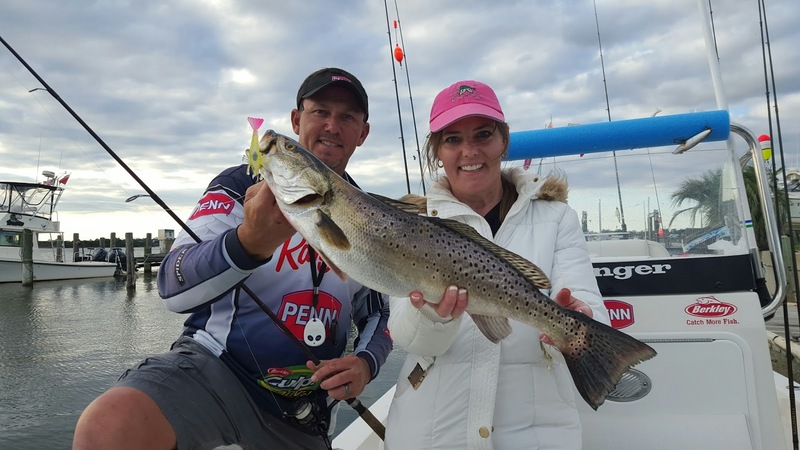 Jeff Cronk (Fish'n4life Charters) and Tami Curtis with a 5.15lb Speckled Trout!